In fall 2010, Whitelock Community Farm hosted neighborhood kids for an afternoon of pumpkin-painting, sack races, and apple bobbing, all on the 1/4 acre lot the Farm had just begun to cultivate. Every year since then, the Whitelock Harvest Festival, co-sponsored by the Farm and RHIC, has added more activities, participants, and energy to a day-long block party celebrating all the progress that neighbors have made toward re-making Whitelock St. a community gathering place for residents of all ages. 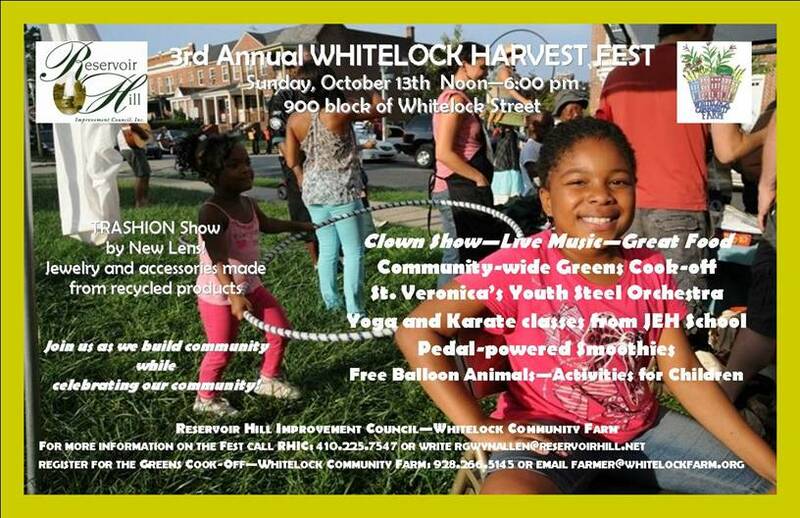 Join us this Sunday 10/13/13 from 12pm-6pm on Whitelock St. (between Linden Ave. and Brookfield Ave.) for more food, music, and community! 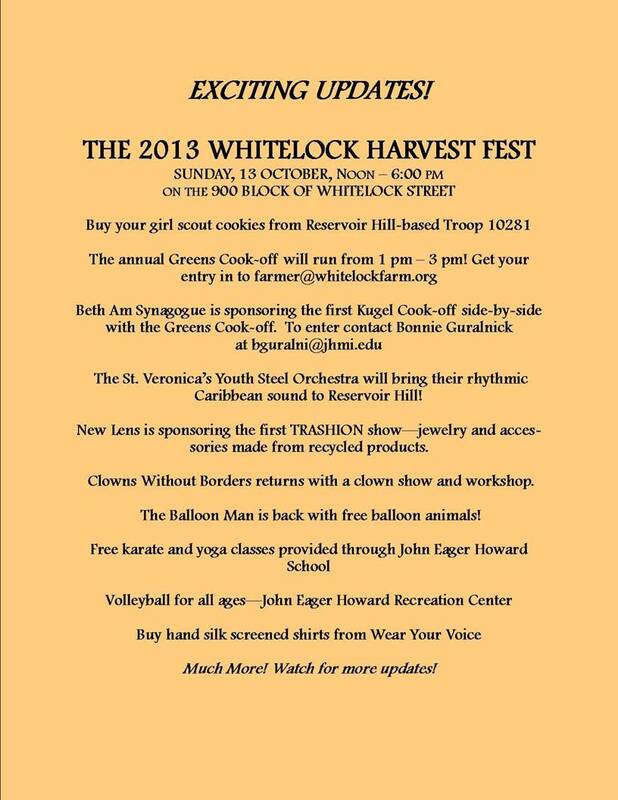 Newer Post2013 Whitelock Harvest Fest: More rain, more people! Older PostSalad bar in full swing at John Eager Howard!